Following her appearance at the Empire State Building, Rachel Brosnahan hit the pink carpet for the premiere of 'The Marvelous Mrs. Maisel' at The Paris Theatre yesterday evening(November 29th) in New York City. For more the part, we tend to see Rachel in bold, colorful looks but the actress scaled back on this occasion, opting for an all black look courtesy of ELIE SAAB. 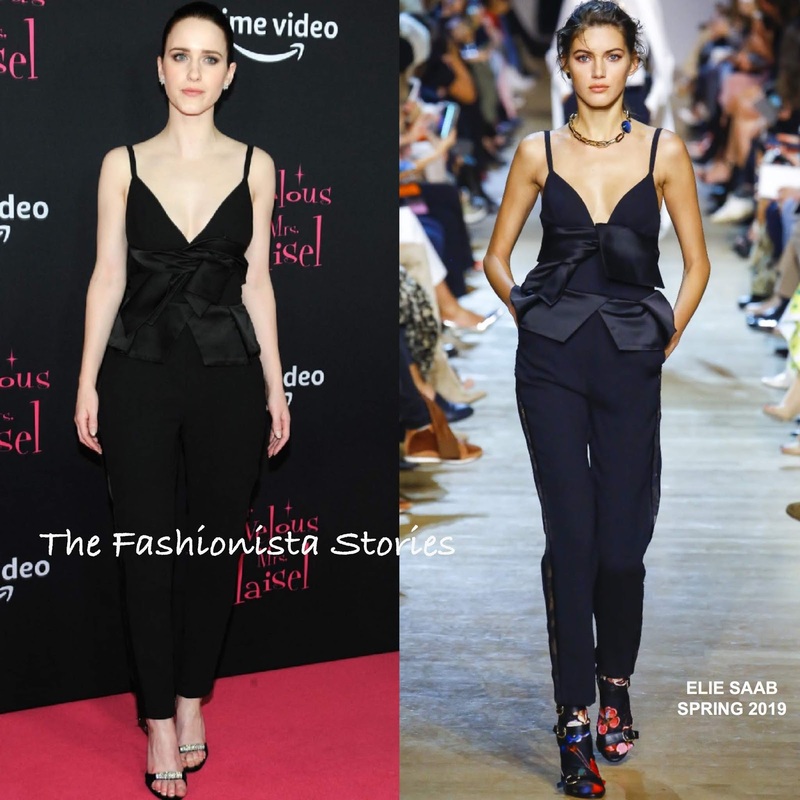 Her SPRING 2019 cady jumpsuit featured a deep v-neck and a satin bow, peplum waist. While I like the jumpsuit, this isn't as exciting as her previous looks. A pull back ponytail, minimal make-up and black embellished sandals by GIUSEPPE ZANOTTI finished up her look. You can get Rachel's Giuseppe Zanotti sandals in red and black on sale via the designer's website HERE.